To make rolling the balls easier, chill the truffle mixture in the refrigerator until firm before scooping and rolling it. Toast the almonds and/or pistachios, if desired, before rolling the truffles. 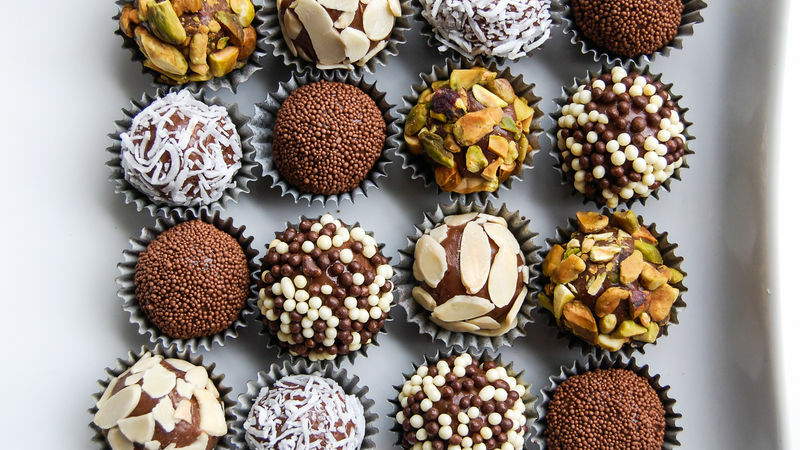 Put a variety of truffles in small gift boxes for friends and family.